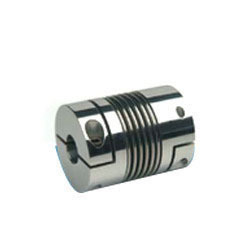 Established in the year 2013 at Chennai in Tamil Nadu, we, Techniment, are a highly trusted name in the industry working actively as the manufacturer, supplier, trader and exporter of a long list of products like Control Valve, Expansion Bellow, Electrostatic Precipitator Electrode, ESP Heater Hopper, IBR Pipe, IBR Pipe Fitting, Bearing Housing, Refractory Brick, Insulation Fiber, PRDS System, Dosing System, Fire Fitting Accessory, Burner Management System, Rapping System, ASH Handling Equipment, Electric Panel, Process Control Instrument, Solar Water Heater and others. Other than these products, we also are service providers of Power Plant Consultancy Service, Equipment Outsourcing, Manpower Arrangement Service, Power Plant Erection Service, Power Plant Commissioning Service, Professional Business Consultant Service, Business Consulting Service and others. We are a Sole Proprietorship Firm which is highly trusted in the marketplace owing to the precision that we put in our products and services. These products are also known for their latest technology, fault free usage, robust built, anti-abrasion qualities and easy installation. Apart from this, the fact that has made us a desirable name in the market is the easy payment modes that we have and affordable prices at which these products and services are offered.